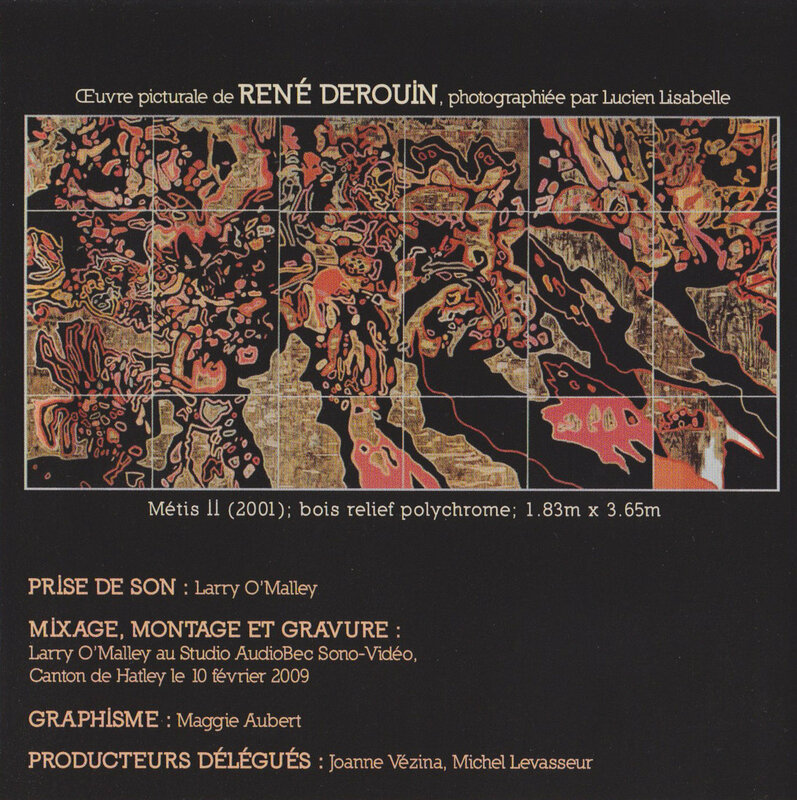 2009 CD release, in jewel box with 6-panel booklet. 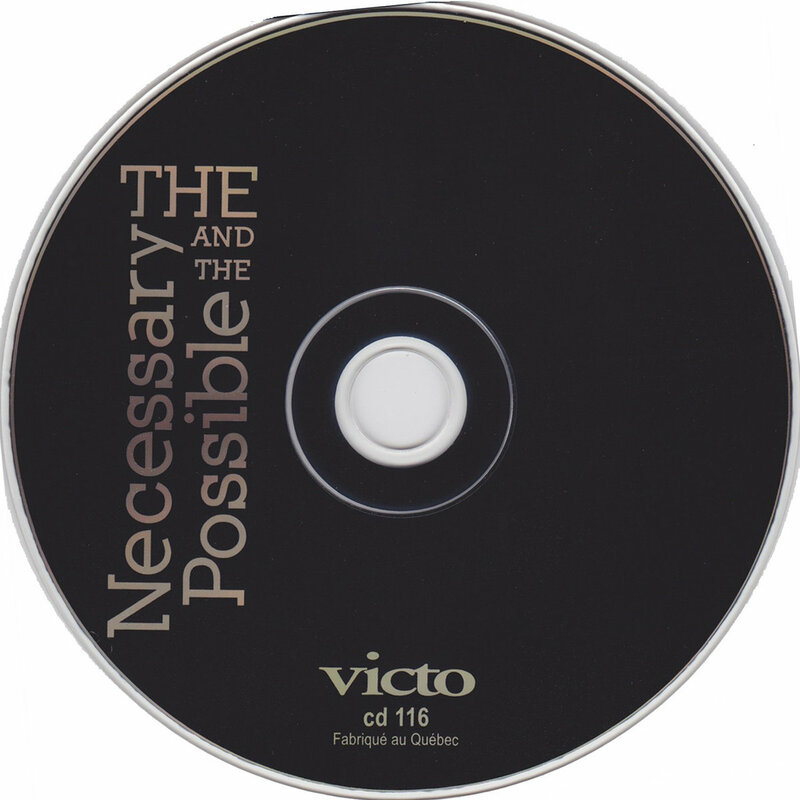 Includes unlimited streaming of The Necessary And The Possible via the free Bandcamp app, plus high-quality download in MP3, FLAC and more. "An elegant trio improvising with restraint, not bravado. It was an acoustic conversation where nothing was forced - totally pleasant, relaxed, and thoughtful." "The fourth day at Victo looked great on paper and turned out even better. The first set was a unique trans-Atlantic trio featuring Joe Morris on guitar, Simon H. Fell on contrabass and Alex Ward on clarinet. This was only the second time that formerly Boston-based guitarist, Joe Morris, work with British double bass giant, Simon H. Fell. 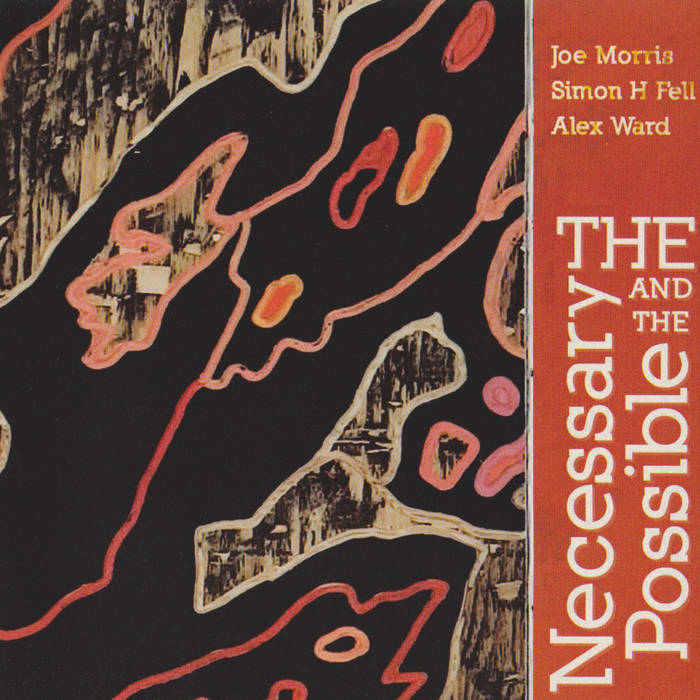 Both Morris and Fell were part of a quartet with Paul Hession and Alan Wilkinson, which toured briefly and recorded a disc for Incus. Another Incus recording artist is Alex Ward, who has collaborated with Derek Bailey, Eugene Chadbourne & Steve Noble. This trio was marvelous, focused, intense and exciting on a more restrained level. Besides being a fine composer and label-head (Bruce's Fingers), Simon Fell is an incredible bassist. The trio sounded like an ongoing three-way conversation in which there was a stream ideas that flowed back and forth between each member. Alex's clarinet created fractured sounds that fit well with Joe's nimble, free-wheeling guitar and Simon's ever-evolving stream of plucked and bowed bass explorations. This set was a perfect way to open this fine day of challenging and diverse music-making." "The true highlight of the [Victoriaville 2008] festival, though, was the trio of Joe Morris (g), Simon H. Fell (b), and Alex Ward (cl). These three are amongst the most accomplished improvisers working today. But, having never played together before, that was no guarantee that they could come together to find common ground. From the first moments, though, it was clear that this was a perfect match. Playing acoustically, with only slight miking, Morris' hollow body guitar, Fell's bass, and Ward's clarinet found a tensile balance. Ideas were passed with lightning response balanced by a collective understanding of pace and trajectory. The four improvisations traversed complexly-constructed communication guided by finely honed clarity of intention. Ward's fleet articulation, Morris' angular phrasing and resonant chords, and Fell's subtle sense of movement, form, and flow fit together effortlessly. The pieces built with a unilateral approach of probing spontaneity that seemed almost unthinkable considering the fact that this was just the fourth performance by the trio. Word has it that this one was recorded for possible future release so keep your eyes out." "There's an impressive consistency of purpose about the trio performance from FIMAV in 2008, documented as The Necessary and the Possible. Like Morris, clarinetist Alex Ward has dabbled with guitar as a second improvising voice, but here he is back in more familiar vein, and Simon H. Fell's huge bass sound, which always seems to represent the armature to some vast, epic/abstract form that hasn't been built yet, one of his own large-scale compositions, perhaps. Past experience of each others' moves means that the set never sounds like a thrown-together festival encounter, the kind of occasion that often provides momentary excitements at the time but rarely stands up to repeated listening. The titles cast 'improvise' in a number of (French) tenses, which allows one to say that the music produced is pluperfect, with a sheer richness and idiosyncrasy of sound - neither Ward nor Fell would be difficult to pick up in blindfold audition - that contributes to a genuinely collaborative program. Talking to Val Wilmer for As Serious as Your Life, Ornette said "A style happens when your phrasing hardens". 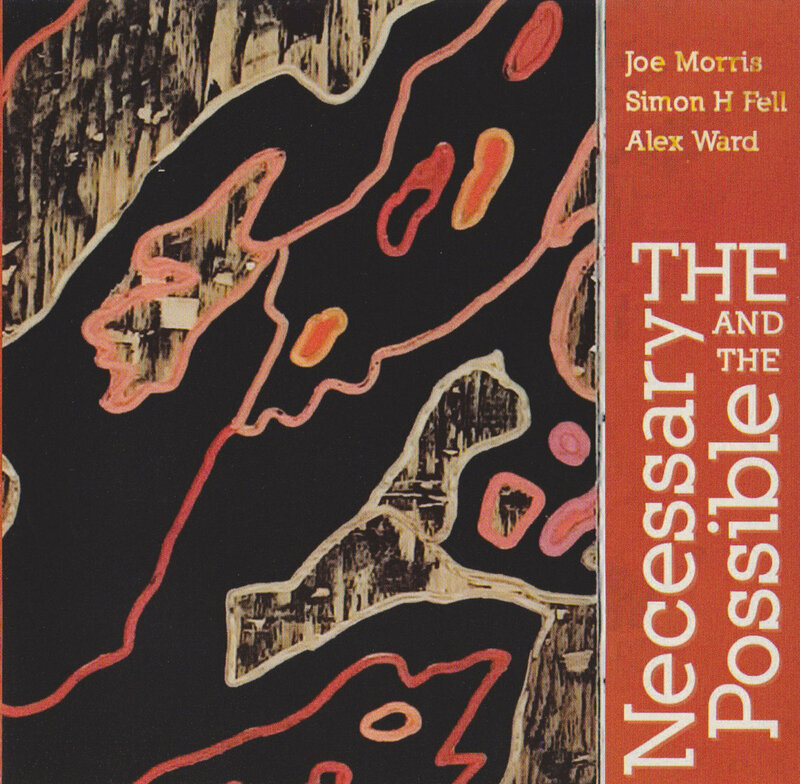 Joe Morris's phrasing has never hardened, and his musical vision remains organic in outline and evolutionary in execution." "The partners deliver unfailingly as far as investigational dauntlessness, intuitive rationality, abolishment of useless trickery and overall timbral freshness are concerned. Ward, in particular, offers a spectacular performance throughout, alternating axiomatic statements and kaleidoscopic explorations of the clarinet's gamut with absolutely flawless control on the instrument's dynamics. Still, he's also able to preserve some of the energies for a quieter dialogue: it happens at the beginning of the broodingly ominous Ils Auront Improvisé, Fell and Morris enhancing the reedist's whispered predictions with scraping delicacy and glittering touches on the strings, the guitarist picking behind the bridge to obtain a mbira-like percussive timbre which is a thing of beauty, the bassist hoarsely growling his way across the lower regions of the aural range with a cultivated concoction of arco pensiveness and fingered desecration. The full hour runs away with nary a moment of tiredness, the incessant intensity and the multiform liveliness of the conversations appearing nearly absurd to these ears: futility and ineffectual choices don't belong in these men's jargon. They develop instant plans which may be respected or less, but even when the discussion threatens to slip off the frame of meaningfulness, one almost envisions the three exchanging a wink and proceeding to rekindle the flame, instantly recapturing a perfect distribution of the weights, intelligence sparkling everywhere. This kind of attitude is based on what the music world at large defines as "reciprocal listening", yet there's more than this. The Necessary And The Possible exemplifies the sharing of different familiarities and experiences without crumbling under the burden of normalcy, transmitting revitalizing vibrations in the meantime." 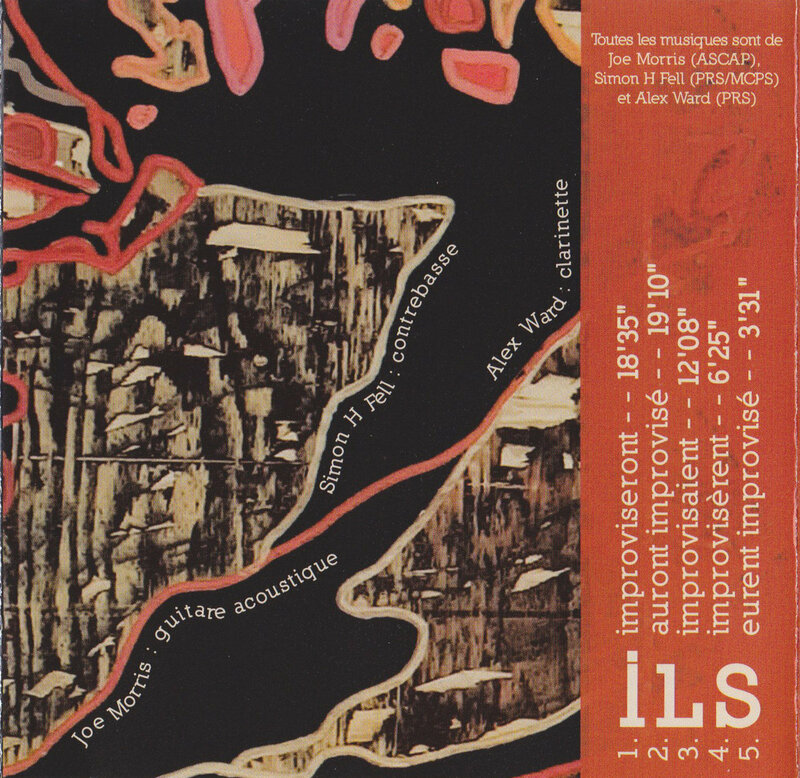 "On commence à mieux connaître la guitare acoustique de Joe Morris depuis l'indispensable Elm City en duo avec Barre Phillips. On la retrouve aujourd'hui en trio aux côtés de Simon H. Fell et d'Alex Ward, deux improvisateurs que l'on ne présente plus. C'est une musique où cordes et souffles s'entortillent, se bousculent, se juxtaposent pour ne (presque) jamais se quitter. Quelle est donc cette mathématique à la fois si complexe et si naturelle ? Tensions-détente, furie-accalmies ; on connaît cela par cœur mais, ici, quelque chose de plus s'interpose. Entre strangulation et longs phrasés enchevêtrés, la clarinette étonne. Mais tout autant, la guitare et la contrebasse. L'élan se fendille, les sons s'épuisent et s'en vont mourir abruptement. La phrase se casse, ressurgit et exige un ultime crescendo. 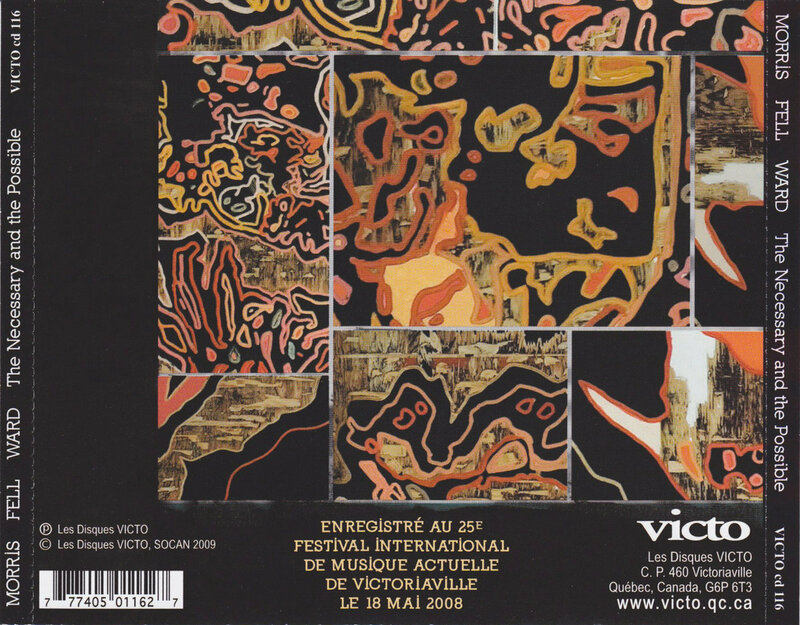 Le jazz de Morris est vif, rugueux dans ses harmoniques (on songe à Bailey). Il est encore très vif mais sans l'arrête vive quand arrive le contrepoint. Un contrepoint qui, jouant avec des figures plus cisaillantes, éloigne la musique des habituelles formules du genre. Un possible renouvellement de la forme, alors ? Pourquoi pas." "The album's title comes from a play by Harold Pinter, but it also refers of course to the metaphysics or even the biology of life itself. You need the necessity of certain laws to offer the possibility of freedom. Or, freedom in a void is meaningless. Sound does not escape from the laws of physics and your listener's ear's biological capturing and transforming of it. Yet within these unchanging set of fixed laws, the realm of possibilities is endless: stretching notes, using pitch and timbre differently, playing around with them, bouncing them off against each other, with the other musicians, interacting, acting together, changing courses, coming back home again. Not an easy task, but with three musicians with experience and expertise, a pleasure to listen to: Joe Morris on acoustic guitar, Simon H. Fell on bass and Alex Ward on clarinet. The latter's voice is possibly the most dominant one for obvious reasons, but it thanks the way it moves and sings and swirls to the more muted yet equally powerful sound of the guitar and the bass. 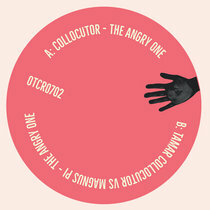 Abstract, but quite enjoyable."